you really never know what you're going get. On another note, breaking out my denim vest has my counting down the days until slightly cooler (and less humid!) weather. Digging the vest + lace-trimmed shorts, doll! Every outfit can use a denim vest. 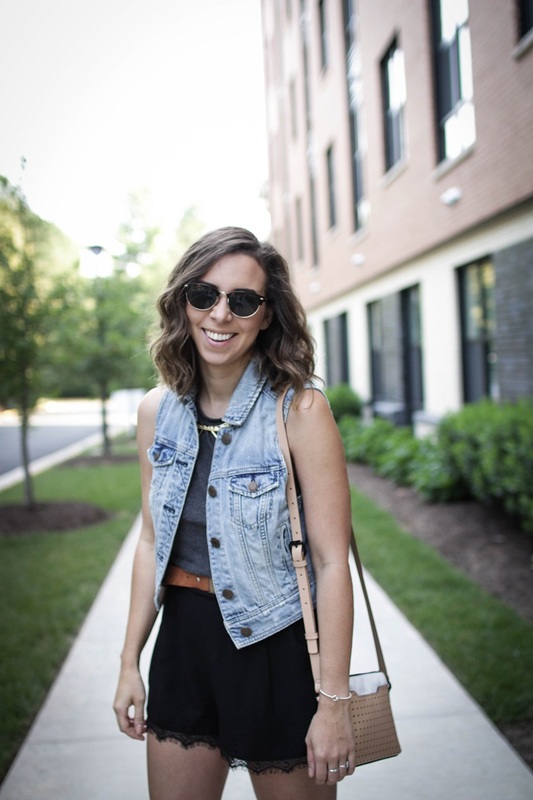 I wear my denim vest far too often...but it's probably because I love layering so much and it's one of the only items I can layer on top of a summer dress without melting. Loving this look with the lace!